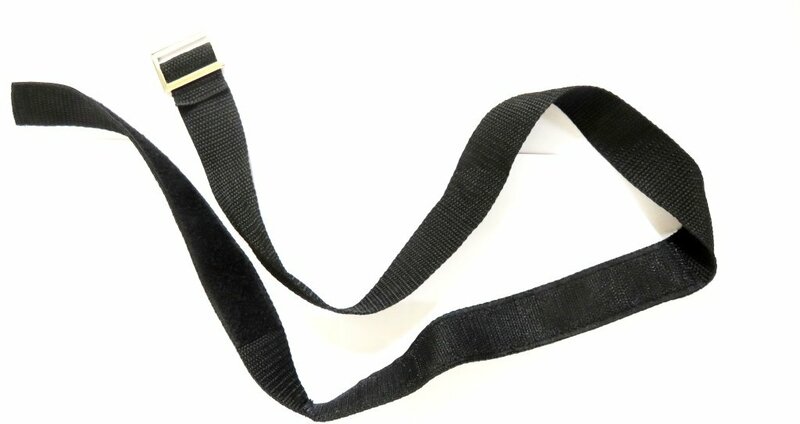 Lower bag strap for electric golf trolley 100cm in length. As the picture shows these come with a buckle at one end and velcro at the other. They are easily fitted by way of a threading through the lower bag support.